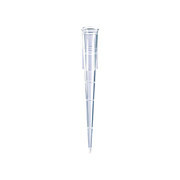 200ul Tip, Beveled, Phenix Brand w/ Clear Hinged Rack, Graduated, 960 Tips/pk (10 racks of 96 Tips), Certified RNase, DNase, DNA and Endotoxin Free. Low Retention Tip, Phenix Brand w/ Clear Hinged Rack, Graduated, Certified RNase, DNase, DNA and Endotoxin Free. 200ul Yellow Universal Fit Tips in Eco Stack Racks, 5 racks of 96.